It is safe to say that if it’s a Tuesday, then our family is having tacos. Our taco nights can be pretty epic events…lots of toppings and options piled on. However, we have also fallen into the habit of ordering in burritos on busy weeknights. Burritos are a totally different Mexican food dish. Where tacos tend to be light a burrito lends itself to being stuffed with heavy, fatty and high carb ingredients. 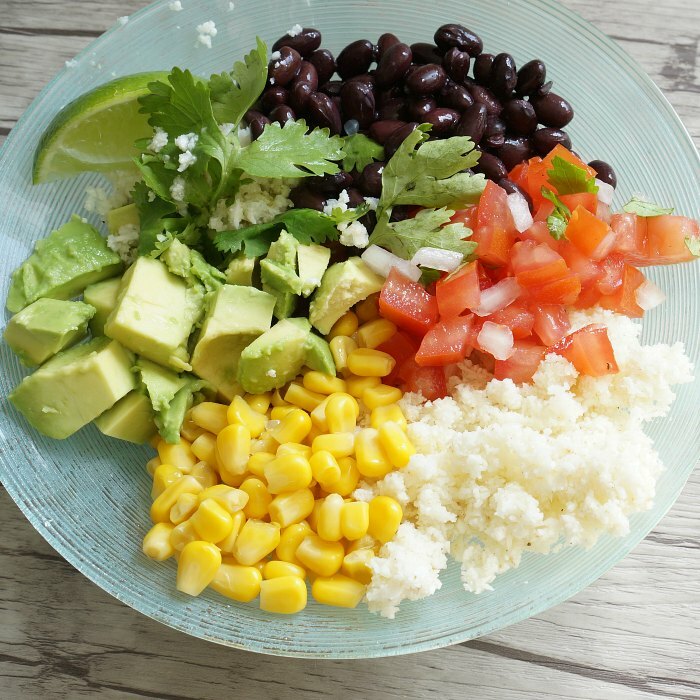 Which is what inspired the creation of this better burrito bowl recipe. So, why the switch? Well, the truth is I often find myself thinking about how I feel after eating a meal. Even if the food was delicious, if the meal left me feeling bloated, exhausted and uncomfortable maybe it wasn’t the best thing for my body to be eating. After a night of burrito eating, we had a family chat about how we were feeling. It was pretty obvious. Everyone was lazing about, tired and uncomfortable. I wasn’t the only one questioning our burrito choices. Upon further discussion we determined there were a few ingredients that were playing tricks with our digestive systems in our burritos. First, the refried beans were creating the bloat and the overall “greasy” feeling. The rice was also contributing to the belly bloat and the over-stuffed feeling we had. We also decided that there were far too many onions in our restaurant burritos. Onions were giving my husband uncomfortable heart burn and were probably making all of us feel a little uncomfortable. All in all, our burritos were just too darn much. The making of our #RecipeMakeover was pretty clear. Begin by making the cauliflower rice. 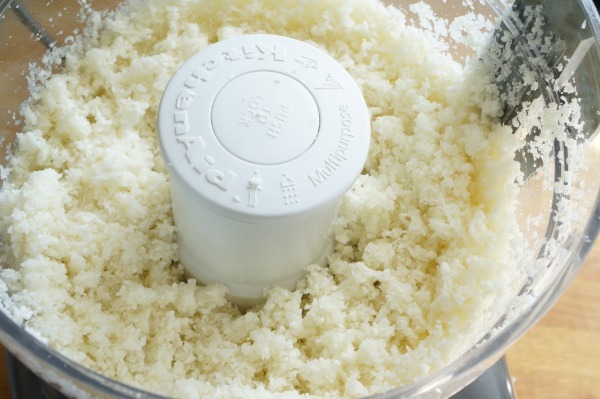 Roughly chop the cauliflower and drop the pieces into a food processor. Whiz up the cauliflower until it is finely chopped…like rice. Transfer the cauliflower rice to a bowl and toss with 1 tbsp olive oil, juice of half a lime, chili powder, cumin, salt and pepper. Set aside. Prepare the pico de gallo. Seed the tomatoes by simply slicing the tomato in half (lengthwise) and removing the seeds and any thick flesh. Dice the tomato and toss in a bowl. Add the finely chopped sweet onion, chopped cilantro (as much as you like), the juice of half a lime and a dash of salt and pepper. Set aside. 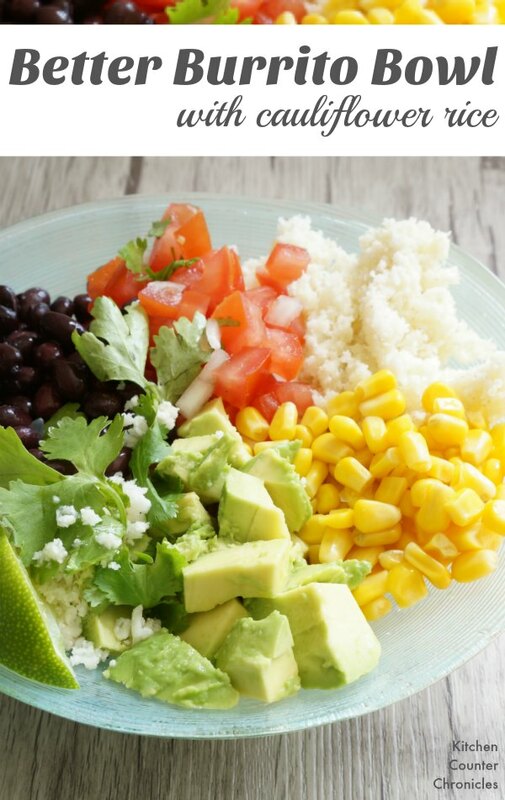 Now it’s time to assemble your burrito bowl. Be sure to use a large bowl, so that everything fits. Start with a big serving of the cauliflower rice, add the pico de gallo, diced avocado, shredded cheese, beans and corn. Top with any additional chopped cilantro and a wedge of lime. 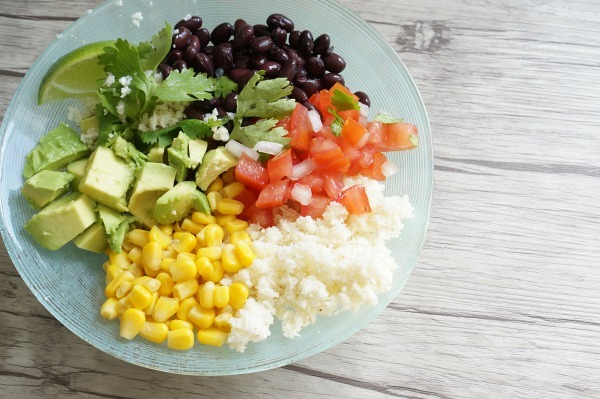 Our better burrito bowl substituted cauliflower rice for traditional rice. The addition of cauliflower means we are giving our bodies a low carb alternative (we also eliminated the tortillas). 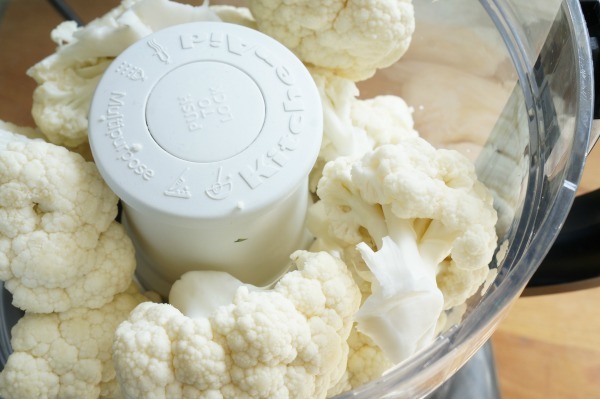 Plus, cauliflower is packed with nutrients and minerals that are super good for us. 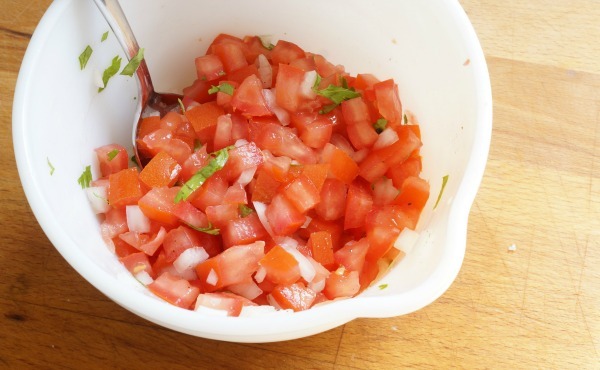 By making our own pico de gallo (which only takes a few minutes) we were able to better control the amount of onions in our burritos – reducing the bloated and heartburn side effect. Finally, our use of black beans over refried beans is perhaps the easiest and most beneficial switch. Refried beans are cooked beans that are refried in oil, often contain a lot of salt and may contain onions. This simple substitution means we get the fibre benefits of beans without the added salt and fat. Okay, will this burrito bowl totally take the place of the burritos we order from our favourite burrito joint? Yes and no. We will still succumb to the lure of our favourite burritos, but not nearly as often as we once had. 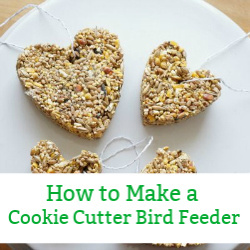 Now we have a quick and delicious alternative, that makes us feel good. Today’s recipe is part of the #RecipeMakeover – be sure to check out all the other delicious recipes being shared and be sure to enter the awesome giveaway for your chance to win a line up of great foodie items (giveaway is open world wide). I don’t really care for cauliflower but have been intrigued about trying it like this, with lots of flavors so I don’t taste it (ha ha!). I love eating bowls. I have still not made the cauliflower rice though I know it will be delicious. Perhaps I will try it with a burrito bowl…great idea. Love! I am so not a rice fan, however, cauliflower rice I adore. I look forward to trying this one! 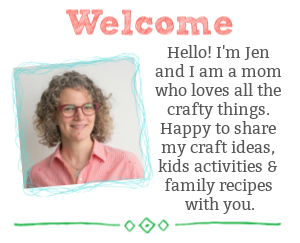 Happy #RecipeMakeover week!